If you want to keep your employees happy, engaged, committed to the company and proud of their work, then you should recognise them more often. This was according to findings from Globoforce’s WorkHuman® Research Institute’s recent survey. It also found that workers who have been recognised in the past month are 34% more likely to believe their company was a best place to work than those who were not recognised. These employees are also 35% more likely to say their culture is fun and enjoyable, 37% more likely to believe their company cares about them as a person, and 28% more likely to say that their colleagues trust one another. They are also 19% more likely to say they fit in and 29% more likely to believe their workplace is open and transparent. Despite these benefits, only 20% of employees have been recognised within the past month, a slight majority of workers have never been recognised (21%), and almost a third haven’t been recognised in more than six months. Additionally, the survey found that when staff believe that leaders are creating a human workplace, they’re almost trice as likely to feel their company cares about them as a person (89% compared to 31%). So how should leaders show that they care about a human workplace? Again, recognition is the answer. Compared to those who have never been recognised, staff who were recognised within the last month are more than two times as likely to believe that their leaders cared about a human workplace (84% recognised vs 40% not recognised). The survey also found that while your staff might trust their colleagues most, the greatest impact on culture comes from trust in leaders. 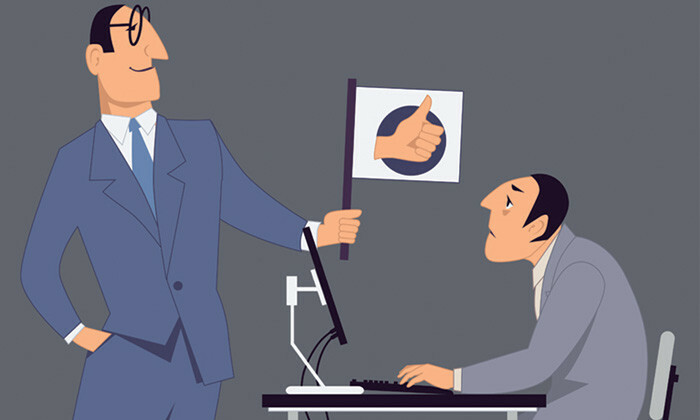 While eight in ten workers trust their colleagues, only 65% had trust in their senior leaders. However, when employees trust their colleagues, senior leaders and bosses, they are 25% to 30% more likely to say they love their job, with trust for senior leaders having the biggest impact. 82% who trust senior leaders say they love their jobs, compared to only 43% who distrust senior leaders. “Our most recent survey shows the business value of human-focused practices in creating a workplace culture that makes employees feel happier and more committed to staying with a company,” said Eric Mosley, CEO of Globoforce. Founder of the group, synonymous with its flagship sushi chain, reveals HR learning in growing from a start-up to established bran..
Rashmi Sharma, head of L&D at Citi Singapore explains how to overcome to barriers to flexible working. .. Accessibility integrates physical accommodations such as ergonomic workstations and accessible building features, as well as a sen..